Note: First be aware that most galleries are password protected. Contact us or the participating property to obtain permission to use an image and obtain password. 2) On left side of screen, locate image you wish to save or share, and click on it. That image will appear on right side of screen, enlarged. To download the original full resolution simply select, "download" on the lower-right hand corner of the screen. This will image download to your "download" folder on your computer's hard drive. 1) On left side of screen, locate image you wish to save or share, and click on it. That image will appear on right side of screen, enlarged. Then click on the enlarged image and you will see that image, full-screen, as the thumbnails on the left disappear. 1) On left side of screen, locate image you wish to save for future social media, blog or directory use, and click on it. That image will appear on right side of screen, enlarged. Then click on the enlarged image and you will see that image, full-screen, as the thumbnails on the left disappear. 3) Click on desired size and that size appears in center of screen. 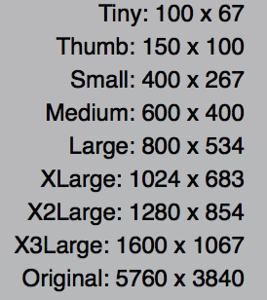 "X2Large" (about 1250 x 850 pixels) is a good size for many directories and social media uses - large but not too big. Now, right-mouse click on that image to save on your hard drive. Repeat with other images you'd like to save. We suggest you create a folder of these reduced-size images - ready for upload on Social Media or a Directory. If you need a bulk download of all of the high resolution images in a gallery , don't sweat it! Look for a small button on the upper right corner that says "download all" - if you do not see it, just contact us and we will send you a zip file for quick download!